A new device from researchers at MIT and Brigham and Women’s Hospital overcomes those obstacles. 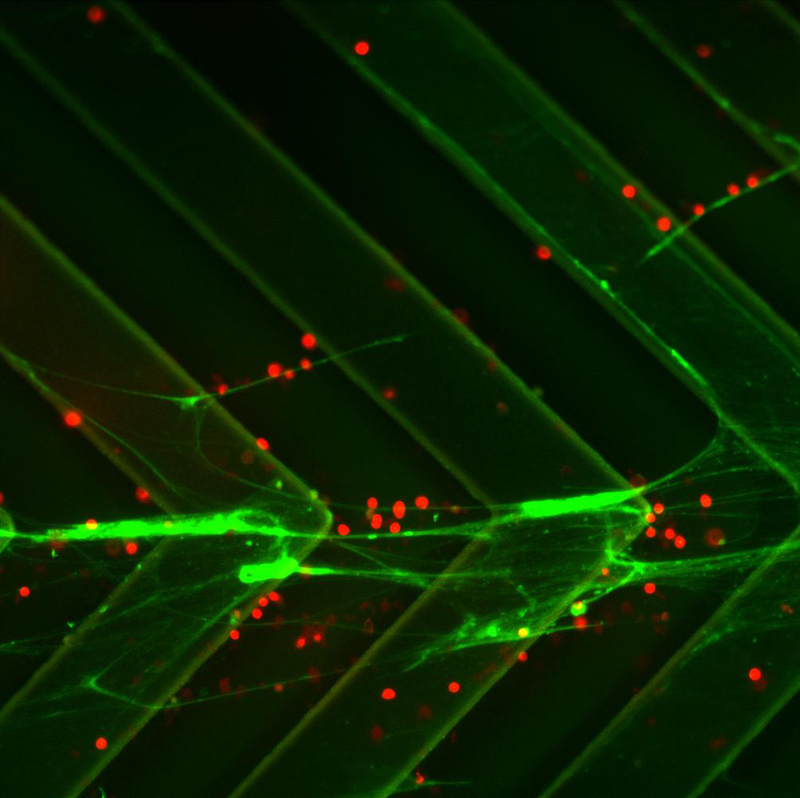 Inspired by the tentacles of a jellyfish, the team coated a microfluidic channel with long strands of DNA that grab specific proteins found on the surfaces of leukemia cells as they flow by. Using this strategy, the researchers achieved flow rates 10 times higher than existing devices — fast enough to make the systems practical for clinical use. Using this technology, doctors could monitor cancer patients to determine whether their treatment is working.